Today was the first day with no pod cast and no radio interview. There was little news but a small message Mark sent that winds picked up a wee bit, but not enough yet. 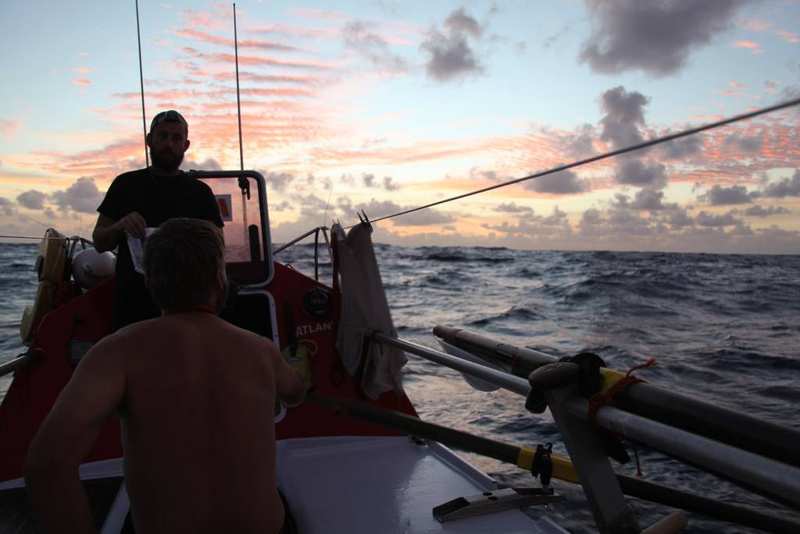 Matt & Simon checked the hull again to make sure there was nothing attached to it that the crew was dragging along, as Sara G is not speeding along fast enough to have a chance of breaking the World Record. Please click here to see their progress. There is hope still, but all lies in the weather for the coming days. Thank you all for your great comments. They have been sent to Aodhán and I hope he’ll be able to check them soon. Best thing of today: the guys saw a boat in the far distance. It’s bizarre in a way to imagine the excitement which is caused by planes flying over or spotting someone else out there on that massive ocean. Keep at it guys!! Barbados is not far anymore! !